This blog is an outlet to discuss my thoughts on climbing, skiing, fitness, and health. It's also a means to share news and events. Thanks for checking it out! The time that I spend outdoors is very important to me. I want each and every experience to be meaningful. By examining multiple facets of an activity and humbly seeking improvement, there can be more intrinsic reward from the activity. Personally, I like to scrutinize technique, motor development, physiological adaptations, while paying homage to aesthetics and form. An athletic event means far more to me when it requires perfect planning, preparation, and performance. It is a special moment when we recognize a particularly difficult challenge has become amazingly easy through training and preparation. Sharing this process is important to me because I appreciate and admire the pursuit of human potential. I find the most satisfaction when this pursuit occurs through climbing, skiing, and running. Sure this is important in my endeavors, but it is extra special when I get to facilitate it and see it occur in others. 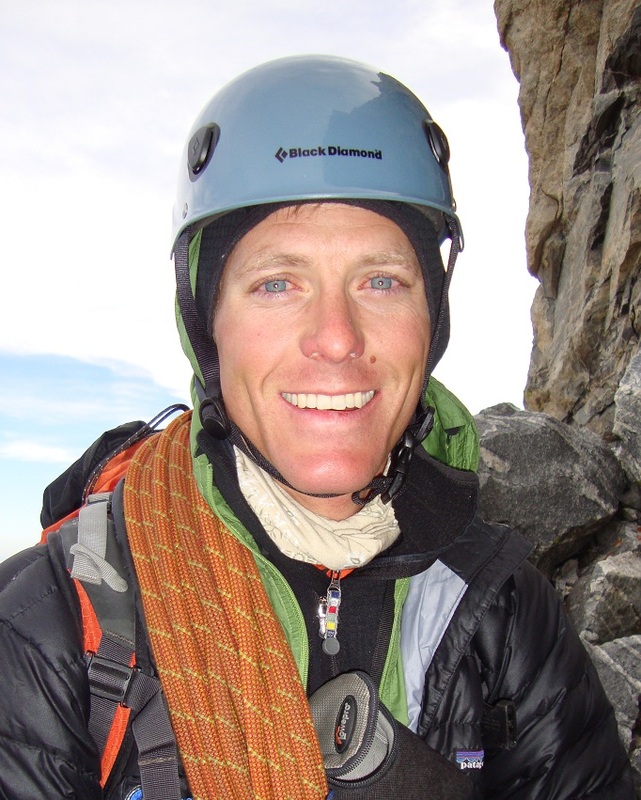 I am the Director for Jackson Hole Mountain Guides in Colorado, based in Boulder. 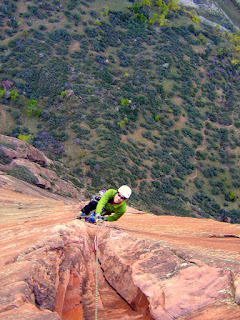 I focus primarily on guiding in Eldorado Canyon ("Eldo"), the Flatirons, and Boulder Canyon. I've been working with JHMG since 2004. 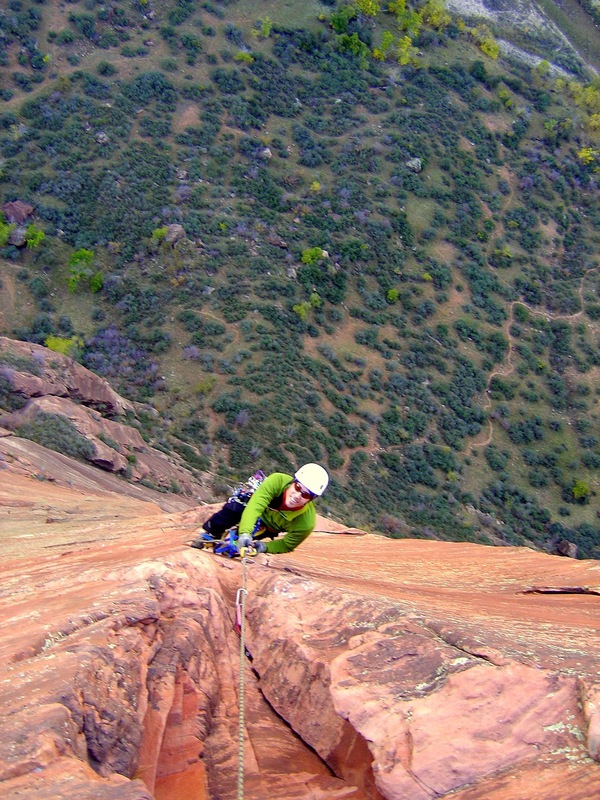 I continue to guide/climb in most of the JHMG permitted areas: Eldo, Flatirons, Boulder Canyon, Red Rocks, Moab, Tetons, City of Rocks, Wild Iris - I'm typically climbing at all of these locations in a given year. I find that the company is a great fit for my philosophy. There is not a one-size fits all approach, rather, there is an emphasis on creating the best trip for each customer and promote a very high standard of guiding. The number of returning clients that we have is a testament to this approach. All JHMG guides pursue guiding as a profession, a trade. We are all really psyched on sharing our unique perspective and putting our own character into each outing. To stay on top of industry knowledge and to continue to develop my guiding, I went through the AMGA Top Rope Site Manager Certification in 2003. Five years later, after additional training and years of practical experience, I obtained the AMGA Rock Guide Certification. I teach skiing at both Eldora Mountain Resort and Aspen/Snowmass, where I'm based out of Aspen Highlands. Aspen is well known; an authentic ski-town with four varied mountains and plenty of character. Between Highlands and Ajax, any expert skier will feel fulfilled and exhausted. The ski school is stacked with internationally known skiers and educators, and the shared knowledge is huge. Eldora is a secret gem, a quiet mountain that's super-convenient for people living around Boulder and the northern Front Range corridor. Eldora has hidden stashes, great terrain for progressions, and bona fide Colorado bumps. I spent several seasons in the Tetons and Jackson Hole Mountain Resort, where I earned my PSIA Level III Alpine Certification. Although the Tetons are the "center of the universe" for American steep skiing and ski mountaineering, Boulder is my year-round home. Eldora keeps me on my toes with surprisingly steep shots like Salto and Placer, and it may be the best ski area EVER for youth skiing, both racing and all-mountain free-skiing. Accordingly, it's the mountain where I obtained PSIA Children's Specialist I. I'm currently working towards PSIA Rocky Mountain Trainer Accreditation. I've had the opportunity to work with all ability levels at Eldora, Jackson Hole, and Aspen/Snowmass, and I work with the advanced groups in both the youth Trek program and the Women's Days program at Eldora. Ask very nicely and I might show you some secret stashes and lines! I'm a personal trainer in Boulder. It is truly rewarding to examine someone's movement and function and rebuild him/her in a healthier and durable manner. Whether it's an athlete trying to take it to the next level, a skier trying to protect their knees, or someone who is seeking pain-relief through exercise and motion, I am seeking to help. Working with an experienced trainer with an academic foundation, most people are surprised to learn a lot more about how they function, and that they are not "stuck" with pain, a condition, or a stagnant level of performance. I enjoy learning how our body works. I like applying this knowledge to function at a higher level, to be pain-free, and to be better-protected from injury. With a B.S. in Kinesiology in 1998 (emphasis in Exercise Science), I sought more specific knowledge. In 2009, I received the NSCA Certified Strength and Conditioning Specialist credential while working as a trainer with Equinox Fitness in midtown Manhattan. My guiding experience spans nearly a decade in places like Red Rocks, the Tetons, Devil's Lake, the Winds, the Beartooth, Rainier, and Aconcagua. I've been climbing since late high school, when my brother and I taught ourselves with a few books. Two summers later, we figured out how to get ourselves up the Zodiac on El Cap. After that, I put some energy into sport climbing, and figured out the training, technique, and tricks to nudge my climbing into 5.13 "down south" in the awesome sandstone belt in Illinois and Kentucky. During a lot of that time, I would switch gears and run marathons and ultras, finding myself most successful as the race distance got longer. After moving to the west, I stopped running in organized competitions, and found fun ways to put running and climbing together in the hills. Living in Las Vegas, Jackson Hole, Boulder, and places in between, I've really developed an appreciation for all aspects of moving in the mountains and on rocks. I like blurring the lines between running, scrambling, technical climbing, and skiing. While Boulder has amazing access to rock climbing, having the ability to get to good skiing so quickly is also a real perk. Sliding on snow has been part of my life since my brother, dad, and I slid around our backyard on waxless cross-country skis. Introduced to ski racing by a remarkable middle school science teacher, skiing became more and more important as years passed from middle school through high school and into college. Winter and Racing were synonymous. In my 20's, I switched over to snowboard halfpipe. Several years later, I was reintroduced to skiing in the touring context in the awesome Spring Mountains in the Mojave Desert, of all places. But moving to the Tetons really showed how incredible the skiing experience can be. Between the "village", the "pass", the "park", as well as the nearby ranges, there are so many possible experiences to be had. I've worked with clients at Jackson Hole Mountain Resort, Teton Pass, and Grand Teton National Park, introducing some to touring, and taking others down some of the famous bowls like Glory, and steeps including Corbet's Couloir. More recently, I've been able to ski with guests at Aspen Highlands and Aspen Mountain, some of the country's most famous and challenging ski areas.